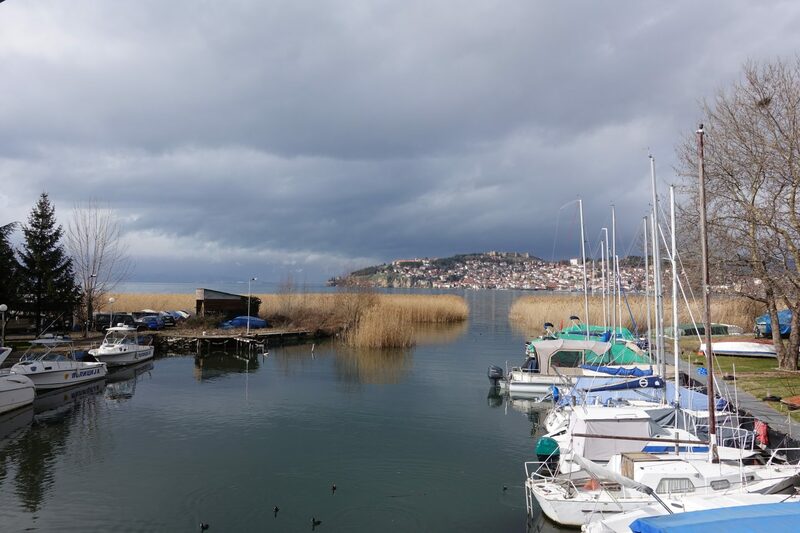 Lake Ohrid is one of Europe’s deepest and oldest lakes, it has been around for about two to three million years, and both the city as well as the lake were declared a World Heritage Site by UNESCO. Ohrid is the largest city on Lake Ohrid, is one of the oldest human settlements in Europe and home to heaps of churches, picturesque houses and lots of historical sites. 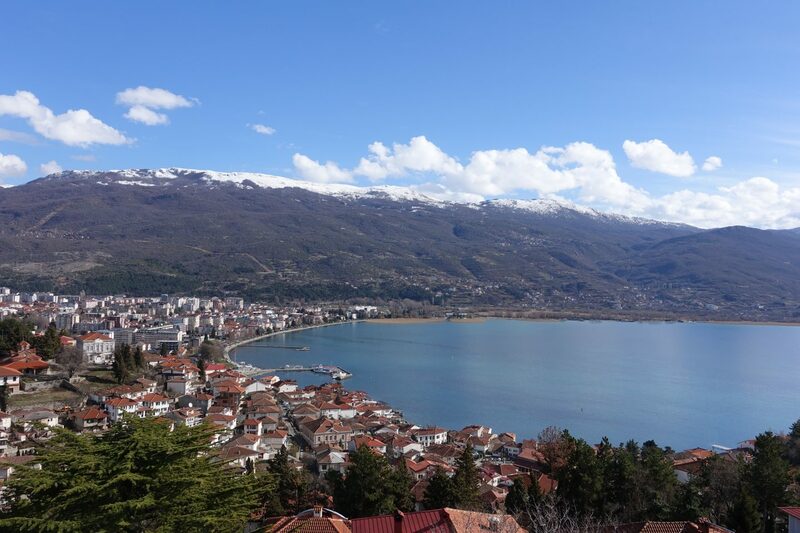 Ohrid is a popular holiday destination for both locals and tourists alike, especially during the summer months. 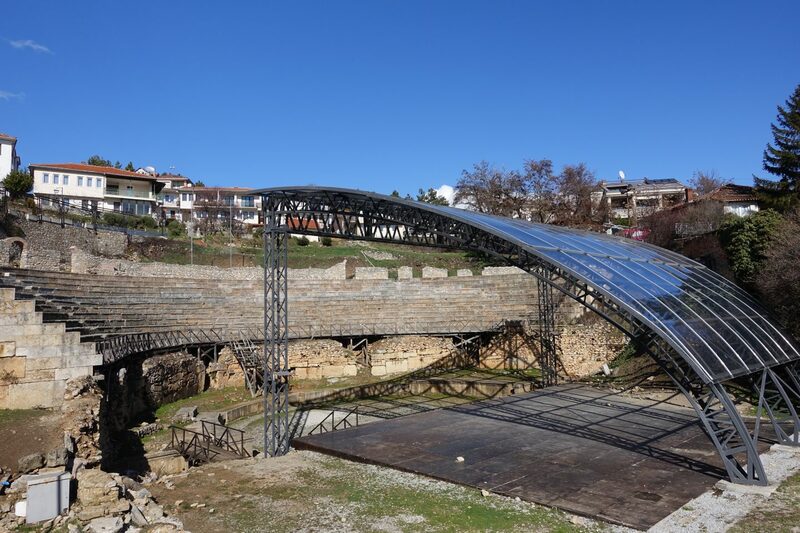 The coldest month Ohrid is usually January and the warmest tends to be August. We had the chance to spend 5 beautiful days in the city in February and I am so glad that we did. 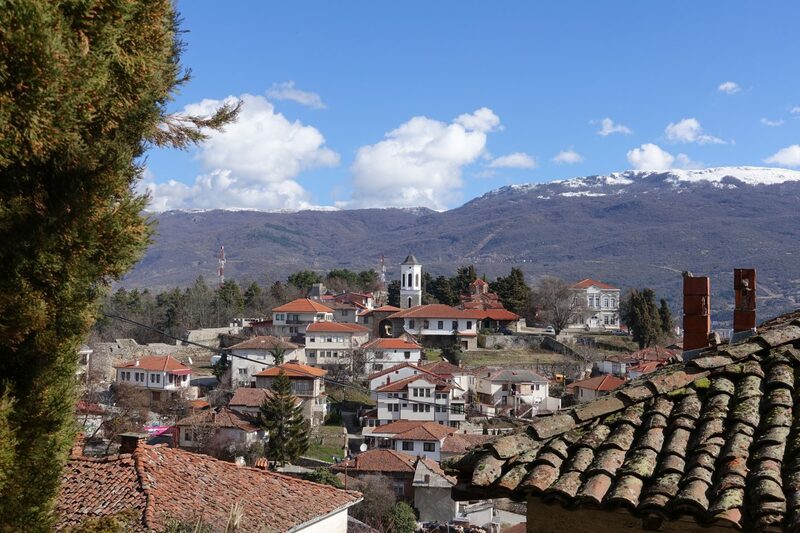 Unlike Budva, which appears to be closed for the winter, Ohrid has got life to it and doesn’t feel deserted at all. Most shops and other businesses appear to be open, there are lots to see and explore and it doesn’t feel touristy at all. Ohrid was built between the 7th and 19th centuries and its architecture is among the best preserved in this part of Europe. The old town is full of churches and incredibly well-preserved late-Ottoman residential houses which were built in the 18th and 19th centuries. There isn’t a whole lot going on in the Old Town, and I really like that. Just stroll through and take it all in. 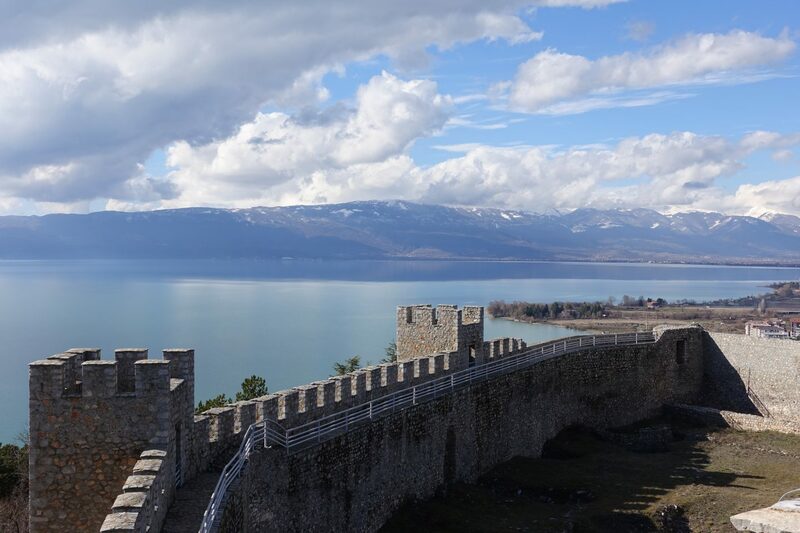 In the early 11th century Ohrid it was the capital of a Slavic empire ruled by Car Samuil and the fortress is situated on a hill, overlooking the city. It was once one of the best fortresses and measured 3km in length. Today, parts of the structure still remain and the site underwent major construction in 2003. The walk to the fortress is a fast one, the views are amazing and the entry fee is 60 MKD. 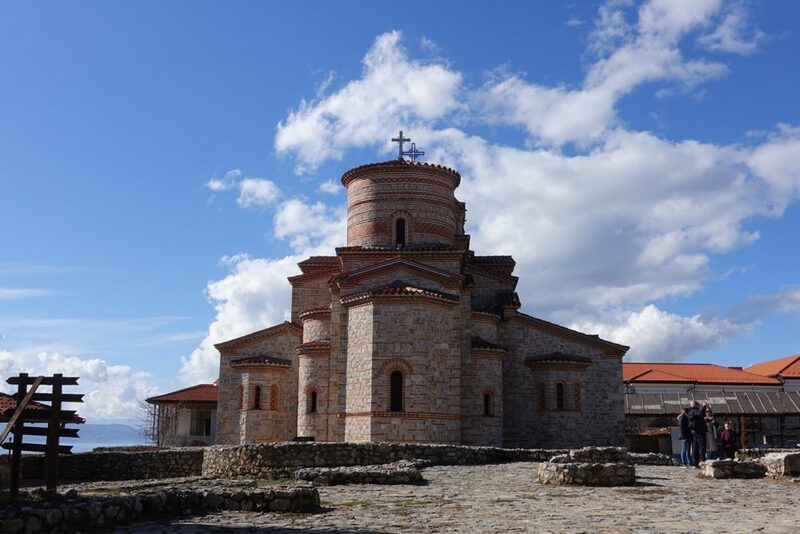 St. John at Kaneo is an Orthodox church that’s sitting on a cliff over Kaneo beach, overlooking Ohrid. Surprisingly the exact year in which the church was built is unknown however, records suggest that it may have been built around 1447. The church is beautiful to look at and definitely worth checking out. 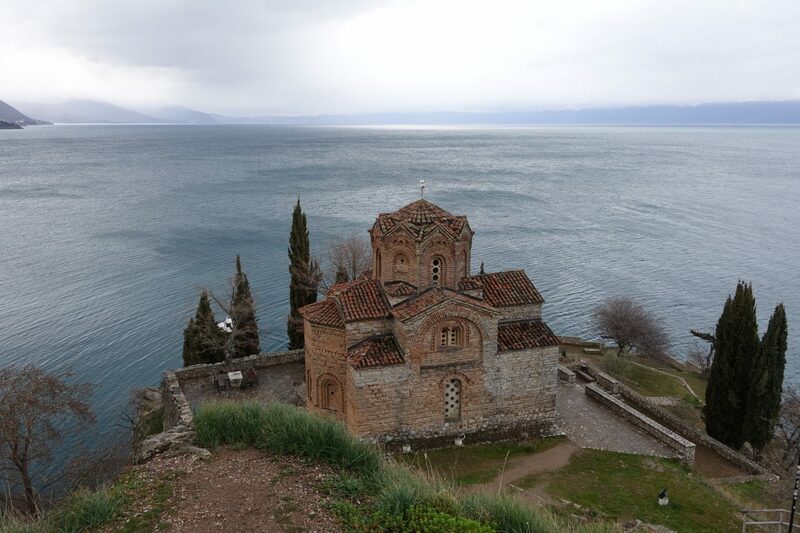 If you walk up the hill right behind the church you enjoy surreal views of the church and lake Ohrid. During the Roman empire, the theater was used for gladiator fights and the executions of Christians. As a result of the latter, the site was disliked by locals and after the fall of the Roman empire the theater was abandoned and buried. It was then accidentally uncovered in the 1980 and because it was buried, it was very well preserved. Today the theater is used for performances of ancient tragedies and comedies. Take a stroll along the pier! The pier is lined with trees, boats & small shop. It’s incredibly beautiful and if you happen to be in Ohrid during the summer you can take a boat across the lake. 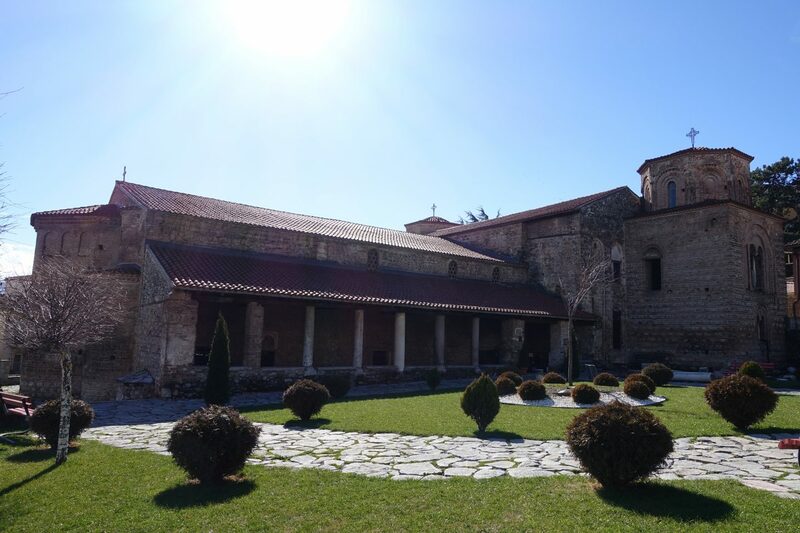 The church is known to have been built when Saint Clement arrived in Ohrid. There was a smaller church on the site and Saint Clement decided to erect a much bigger one. Saint Clement was buried in a crypt inside the church in 916 and his tomb still exists today. The church underwent a major renovation and was fully reconstructed between 2000 and 2002. The church is one of the most sacred ones in Macedonia and attracts heaps of visitors during large religious holidays. The Macedonian orthodox church features a beautiful courtyard with benches and is one of the most important monuments of Macedonia. I loved how peaceful this church was – surrounded by residential buildings in the heart of the Old Town.